Silver__Grey_6_x_8_Envelopes is rated 5.0 out of 5 by 1. Rated 5 out of 5 by Rangel Designs from Great Product and Service Why I am a fan of JAM paper is the great variety of products to fit our custom projects. Looking at these Silver & Grey 6 x 8 Envelopes will make you feel like a superhero with x-ray vision! The see through foil will let you see what's inside even before opening the cover. So zoom in with your gamma rays! But don't worry, you won't be able to get through this Silver Foil Envelope! They are tear-free, resistant to water damage and very durable. These futuristic mailing parcels offer an alternative for those interested in trying out an envelope with a little more transparency, because, let's face it, some items are simply not worth hiding. Whether it be a handmade greeting card, a colorful brochure or a complete press package, don’t hesitate to show off your work! 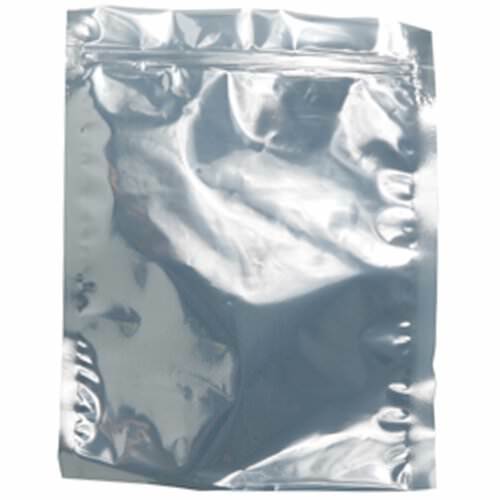 Silver and Grey See Through Foil Envelopes measure in at 6 x 8 and feature a secure zip lock closure. This way you'll be able to have a tight seal but also reuse it again and again!